Got a Tear, faded Interior, or Just Ready for a New Look? 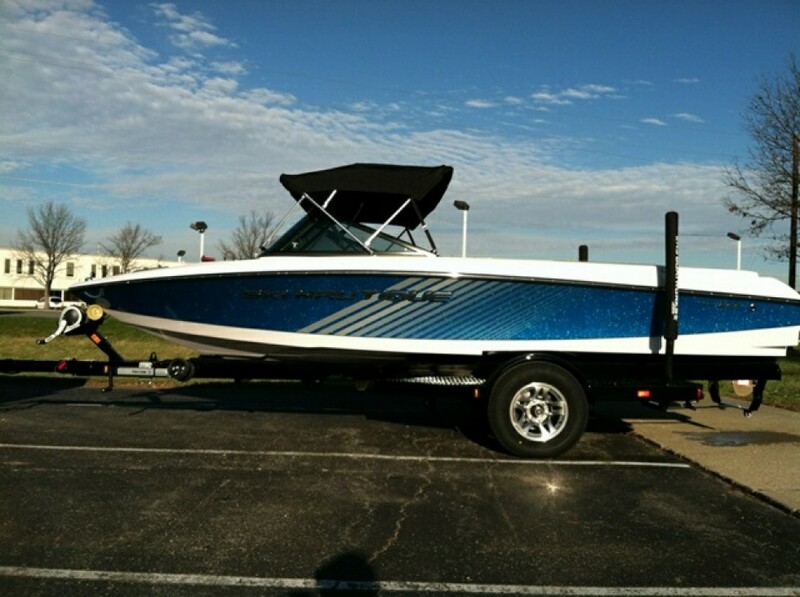 Let us help make your boat stand out both in the water and out! Welcome to Smitty’s Indy Marine Company! 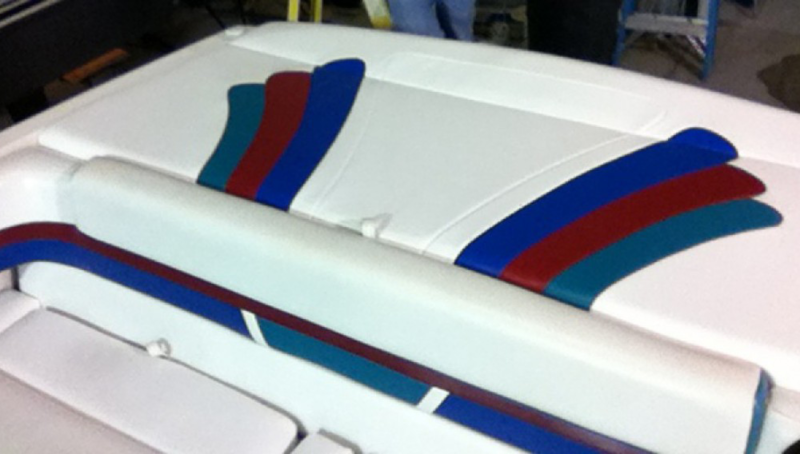 At Smitty’s Indy Marine, custom work while satisfying each and every customer is the number one goal. So, whether you have a ten foot dinghy or a seventy foot cruiser Smitty’s can help you make your investment more enjoyable through personalized custom service and attention to detail. 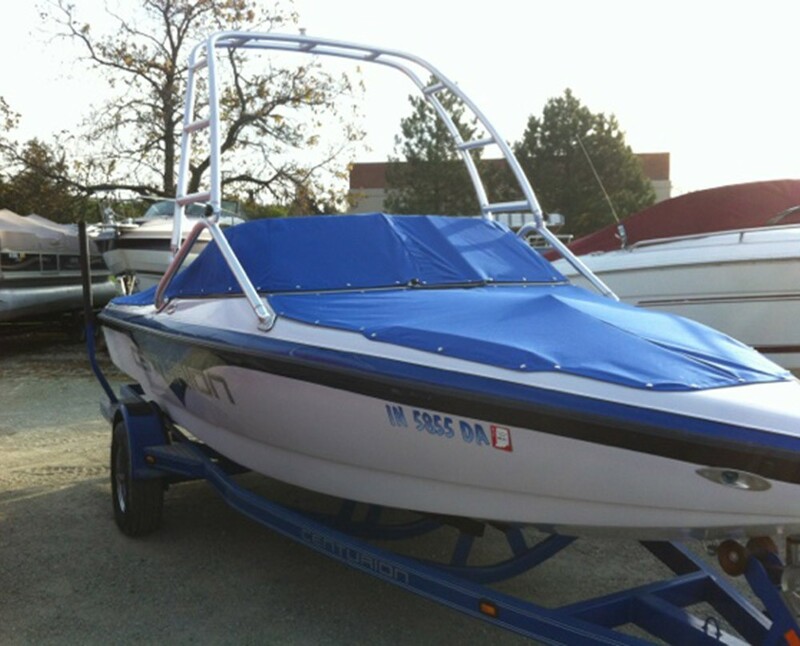 Our custom boat covers can be made for any size boat and come in a variety of quality material, and combination of colors to truly give your boat that “pop” when matched up with your puller. A new or added bimini top can create a new dimension to your boating pleasure. An always popular product at Smitty’s is our custom designed camper top for your pontoon boat in any size including zip down clear vinyl panels with shaded screens for the little ones. Don’t forget to call Smitty’s for accuracy when it comes to interior restoration for that antique or classic boat that’s waiting for you to start even if its just a seat cushion . You will be surprised at our ability to replicate interiors from the historic past or just an ”oops” that needs to be fixed, Smitty's can take care of any project! Call us today or click the link below to get started!